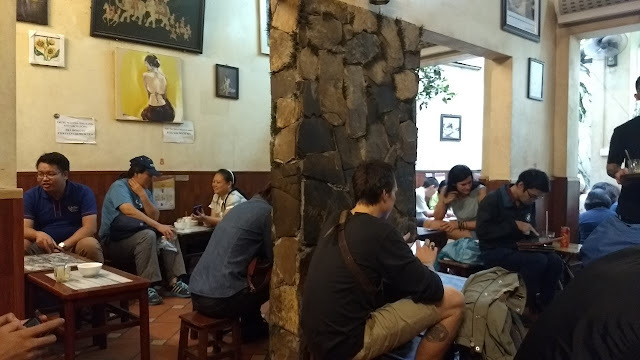 There is something special about coffee in Vietnam. Our hotel served breakfast, and starting each day with the coffee they made was a pleasure. 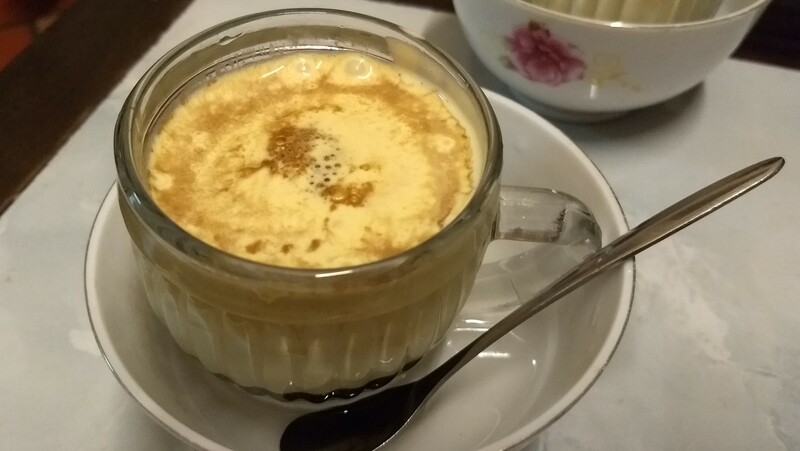 Egg coffee takes the already great Vietnamese coffee up a notch. 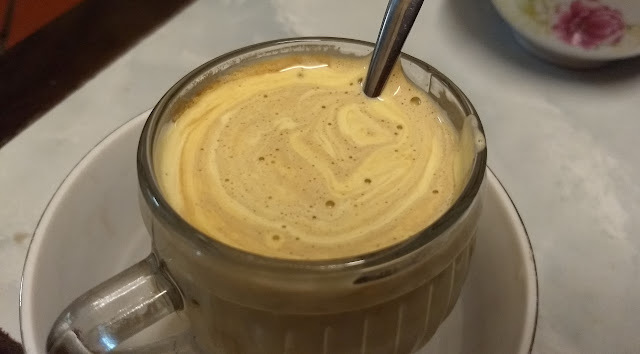 I'm not sure if it is an actual Hanoi thing or just a Hanoi tourist thing, but egg coffee is undeniably a delicious thing. A shot of strong coffee, topped with a whipped custardy topping. 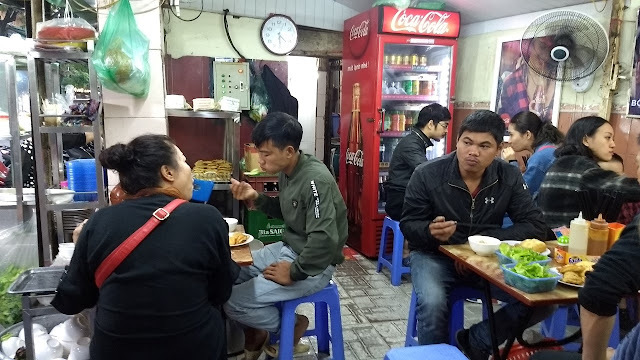 We had ours at Giảng Cafe - packed with tourists and, I think, a decent scattering of locals as well. Mix the coffee on the bottom with the eggy topping and you have something like a warm, liquid coffee ice cream. I don't have much of a sweet tooth, but I liked it a lot. 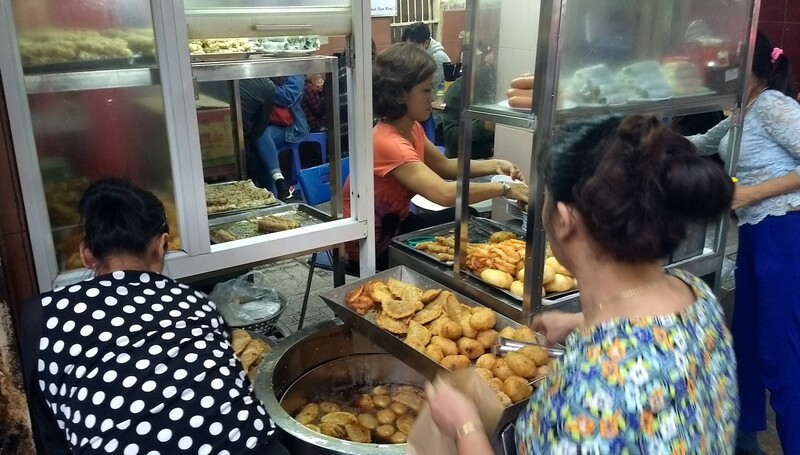 The same day we ticked egg coffee off of our list of things to try, we found ourselves passing a busy storefront that was all about fried snack food. They had a happy clientele tucking into their fried offerings, so we couldn't resist sitting down and having some. 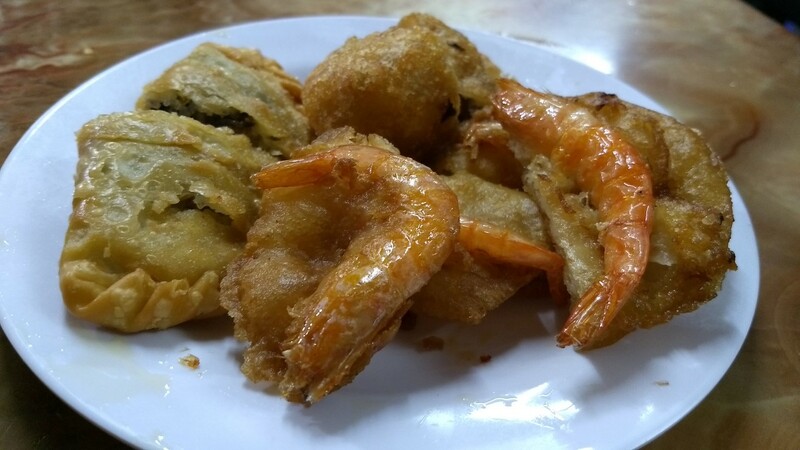 The highlight was the shrimp fritters (bánh tôm) - crispy, crunchy and quite pretty. It's settled then. Next trip, Vietnam. Looks amazing. Definitely go - you won't be disappointed.